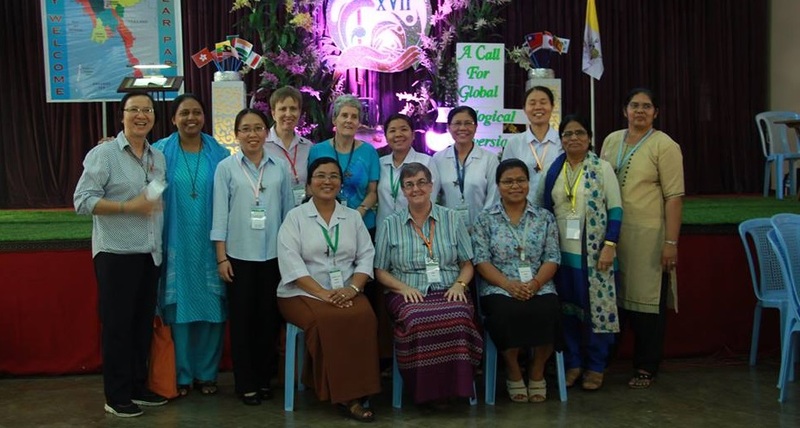 We, the 132 participants of the 17th Asia-Oceania Meeting of Religious (AMOR XVII), representing our respective National Religious Conferences in 21 countries, women and men, gathered together in Yangon, Myanmar on February 27 – March 3, 2017 to discuss and reflect on the environmental situations in the countries of Asia-Oceania where we live, work and do mission. Our sharings and reflections over these past few days, guided by prayer and meditation, have made us realize that the situations are common to us all, with consequences and impacts that spare no one. And with this realization, we have seen the need to forge a unified response, choosing a path directed by a shared perspective and gathering together our resources and energies towards a singular goal. That not one single country, rich or poor – in Asia-Oceania or in the world – has been or will be spared from the effects of climate change. The impacts and effects of ecological destruction have swept through all the continents in various ways and forms – in more intense weather disturbances, in unprecedented climate upheavals, in violent earth movements. That while all are subjected to the effects of climate change, it is the poor who have been most affected by the phenomena (cf. LS, n. 48) – they are the most vulnerable, and their vulnerability is exacerbated by the reality of their situation, having no means of escape. 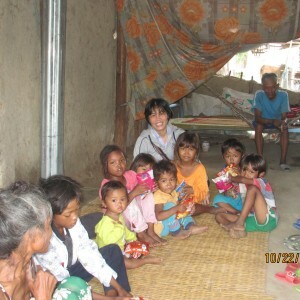 That among the poorest of the poor are the communities of indigenous peoples whose only defense, if and when it is ever available, is flight, and who end up as displaced persons in even more dire circumstances. That the influence of politics and economics remains pervasive, contributing greatly to the ecological destruction continuing unabated in the world. That, examining ourselves in terms of our attitudes and lifestyles, there may be inconsistencies in living out what we know, preventing us from living out what we are called for. And further, that in failing to resolve these inconsistencies, we may have been or are participating in the environmental situations that plague the world. In light of the Word of God, directed by Pope Francis’ Encyclical Letter “Laudato Si’, on Care for our Common Home,” and the Papal Bull “Misericordiae Vultus,” inspired by Asian Spiritualities and traditions. As we contemplate the beauty of creation in our lives as consecrated people, mystics constantly seeking to recognize our being in God and oneness with the earth, we are awakened by the deafening “Cry of the Earth” and “Cry of the Poor” (cf. LS, n. 49). We acknowledge with deep sorrow that we have been negligent and inconsistent in our responsibilities as carers of God’s creation. And, moved with compassion (cf. MV, n. 9) and resolved to stop the reckless exploitation of Mother Earth, before it ceases to be our common home, we set our goal and define our mission. By adopting simple lifestyles in order to decrease our carbon footprints and abate global warming and by opting for produce and products, such as organic and indigenous foods, which do not perpetuate or encourage economic and political systems that impoverish people. By recognizing ourselves as ecological citizens, not only through the promotion of ecological concerns, but through our respect for the diverse Asian cultures and religions that give reverence to nature and by drawing from the richness of the intercultural traditions that effect the paradigm shifts in the way we relate with cosmos. 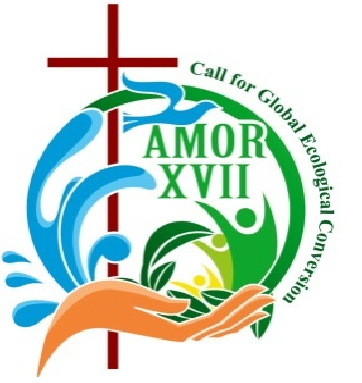 Therefore, we the participants of AMOR XVII [On this occasion, our 17th Assembly Women and Men Religious in Asia and Oceania], after having discussed and reflected on the theme – Call for Global Ecological Conversion – we affirm the reality and urgency of this call, and express our commitment to respond to it through our way of life and mission according to our respective charisms as consecrated women and men. In heeding the call for ecological conversion, we will seek ways to integrate love of creation and responsibility as carers of Creation in our contemplation and action. We will take up and/or support the fight for ecological justice through ecological evangelization to counter globalized consumerism and corruption. We will seek to discover and enhance our interconnectedness with nature and the environment, leading us to protect rather than challenge and destroy them. 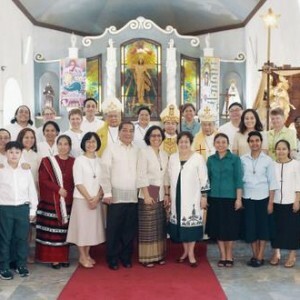 Trusting in God-Mercy, we– missionaries of Mercy– we pledge to be steadfast in our faithful partnership with God in the care of our common home, and to remind and critically collaborate with our national governments to come up with adequate and effective laws and their efficient implementation, to assure this and the future generations of a home according to God’s plan.